JOIN LEGION M AT THE 2019 SUNDANCE FILM FESTIVAL JANUARY 25-27! One of our favorite industry events is right around the corner: Sundance! Legion M is once again taking over Park City, Utah, January 25-27, 2019, and we want YOU to come hang with us at the movie industry’s most prestigious film festival in America. Check Sundance off your bucket list while creating amazing memories with the Legion M exec team and other members, checking out a full slate of buzz-worthy independent films and documentaries vying for festival awards and industry recognition, and maybe even rubbing elbows with some of entertainment’s biggest names! If Sundance 2019 is anything like last year’s festival, the Legion is in for an absolute BLAST! If you attended Sundance with us in the past, you know what an incredible experience it is. For those thinking about joining us for the first time, here’s what to expect. For starters, the Legion M Lounge @ Sundance will once again be located at Park City’s historic Red Banjo Pizza Parlour. 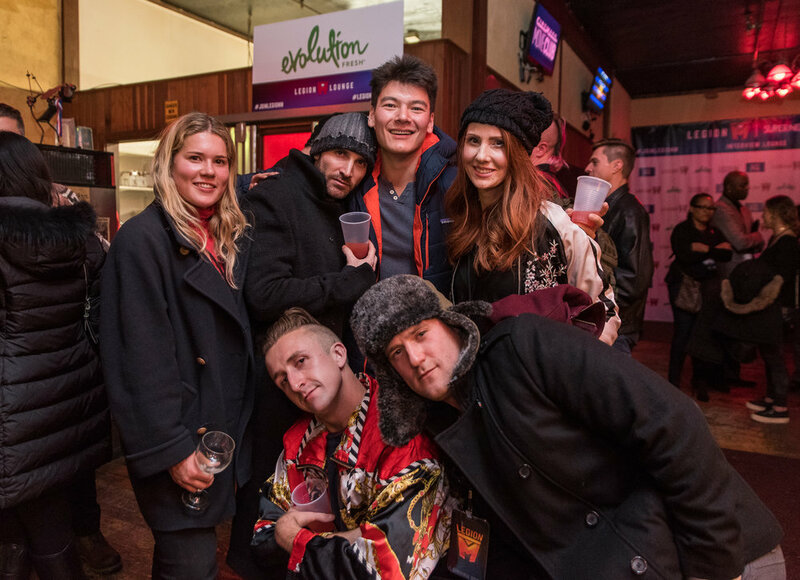 Located in the heart of Main Street and next to the famous Egyptian Theatre, the Legion M Lounge promises to be one of the most sought-after Sundance destinations, and Legion members will have VIP access to our events and activities! Last year, the Legion M Lounge hosted the exclusive world premiere afterparty for our film “Mandy” (which has become an instant cult-classic since its September theatrical debut) and we conducted a live Q&A with “Mandy” director Panos Cosmatos and producer Elijah Wood that was famously crashed by Nicolas Cage and Mötley Crüe’s frontman Vince Neil! The Legion M Lounge was also home to Movie Pilot’s Sundance interview series hosted by Movie Pilot’s Russ Fischer and legendary film critic, historian and Legion M Advisory Board member Leonard Maltin. The interview series, which was livestreamed, featured top talent and filmmakers from more than twenty Sundance-premiered films and documentaries, including Ted Danson, Joel McHale, Chris Elliott, Blythe Danner, Matilda Lutz, and Maude Apatow. Plan Your Trip to Sundance! Legion M-ers who stsy together, save together! If you’re joining us at Sundance, it’s best to start thinking about your travel plans now and taking out your warm winter gear! Airline ticket prices will begin getting more expensive as we get closer to the festival, so begin shopping for flights now on sites like Kayak, Momondo or Expedia. Lodging is another priority to cover off leading up to Sundance. We recommend joining forces with friends, family or other members of the Legion and renting a home or apartment in the area through Airbnb or VRBO. Hotels can be pricy in and around Park City during Sundance, but we’ve set up a Sundance hotel forum to assist in your lodging needs! Posting your Sundance plans on the Legion M Members Facebook Page can also be helpful in securing a place to stay while at the festival. Sundance is a super fun opportunity for the Legion to come together offline! Grab a Sundance Pass and Tickets! Once you’ve secured flights and lodging, you’ll want to begin thinking about whether you want to purchase a Sundance Film Festival pass, a ticket package, or advanced individual tickets. The official Sundance Institute website provides detailed information about how to enjoy the festival the way YOU want to. The HuffPost wrote a non-insider’s guide for getting Sundance tickets, and we also suggest checking out this helpful video! You can literally be a Legion M Film Scout by attending some of the dozens of movies and documentaries debuting at the festival and downloading your input into our proprietary SCOUT tool. Who knows, you may even catch a film you’ll end up owning! Always a full house at the Legion M Lounge. Sign Up Below for 2019 Sundance Film Festival Details! 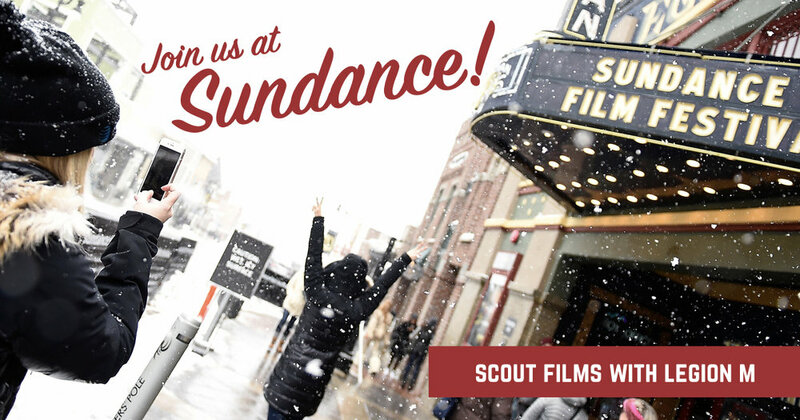 Sign up to join us at Sundance 2019! Thank you! We have you on the list for Sundance 2019. Be sure you receive our email updates from Legion M by adding us to your contact list. Did someone say "Legion M" and "Churros"? Legion M Gift Shares Make The Best Holiday Gift!